I make a lot of food for kids around here. The kids bring their lunches to school almost every day, and just about every day, they all want peanut butter and jelly sandwiches. Sometimes they’ll get a little crazy, and ask for hazelnut spread and jelly instead, but for the most part, that’s our routine. I’m not much better. By the time I sit down for lunch with my preschooler, I often just grab whatever she’s having (more PB&J). 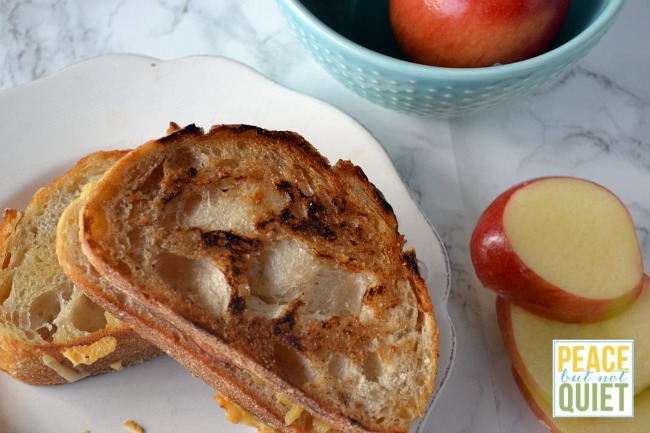 But sometimes…sometimes…it’s nice to have a grown-up sandwich. Something with a little more…oomph to it. So my daughter and I will make some grilled cheese sandwiches for lunch instead. These ones right here were delicious. Some nice gouda. Apple slices. Oscar Mayer Selects Natural Applewood Smoked Turkey. All hugged by two tasty pieces of sourdough bread and grilled lightly. It’s just the thing after endless weeks of jam sandwiches. I hadn’t tried Oscar Mayer Selects Natural lunch meats before this, but I was happy to learn about them. They’re made with no artificial ingredients, and the lunch meats are minimally processed. There are no artificial preservatives, flavors, or colors, no gluten and no by-products. Definitely something I feel good about feeding my family. 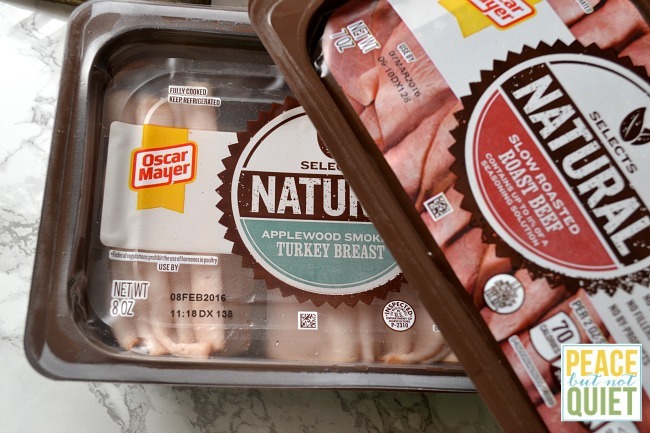 Oscar Mayer Selects Natural meats are available in five varieties including Slow Roasted Turkey, Applewood Smoked Turkey, Rotisserie Seasoned Chicken, Applewood Smoked Ham and Slow Roasted Roast Beef. They’re a great choice for those of us looking for quality cold cuts that have no artificial ingredients but do taste delicious. So my daughter and I had our grilled cheese sandwiches, sitting at the table, talking about our day. And then I made some more grilled cheese sandwiches that afternoon for a snack for the older kids when they got home from school. 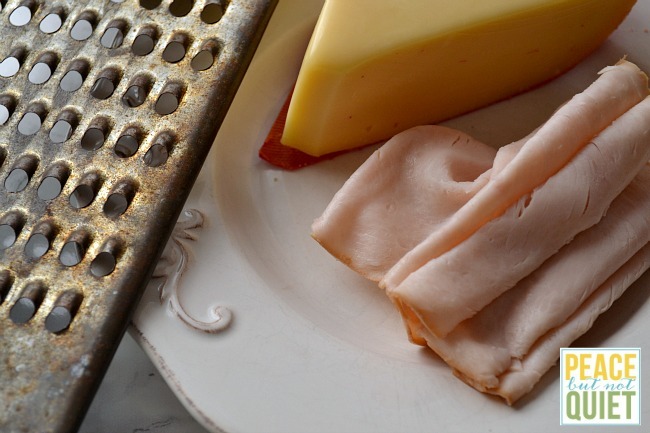 Gouda and smoked turkey for everyone! Heat a frying pan or griddle. Melt 1 Tb butter in the pan. 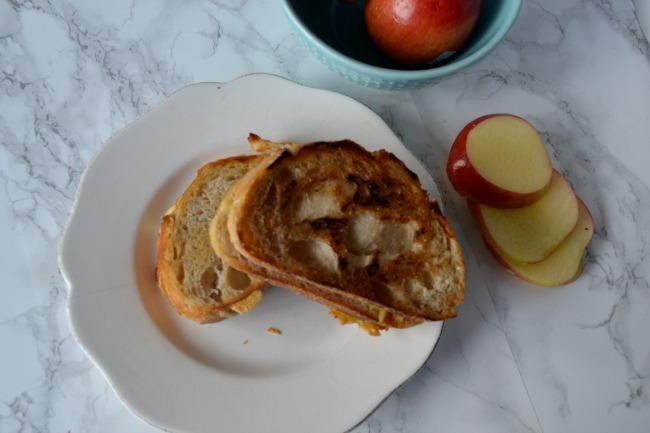 Add one slice of sourdough, a layer of gouda cheese, one apple slice, one turkey slice, one more layer of gouda, and the top slice of sourdough. Repeat to make one more sandwich. 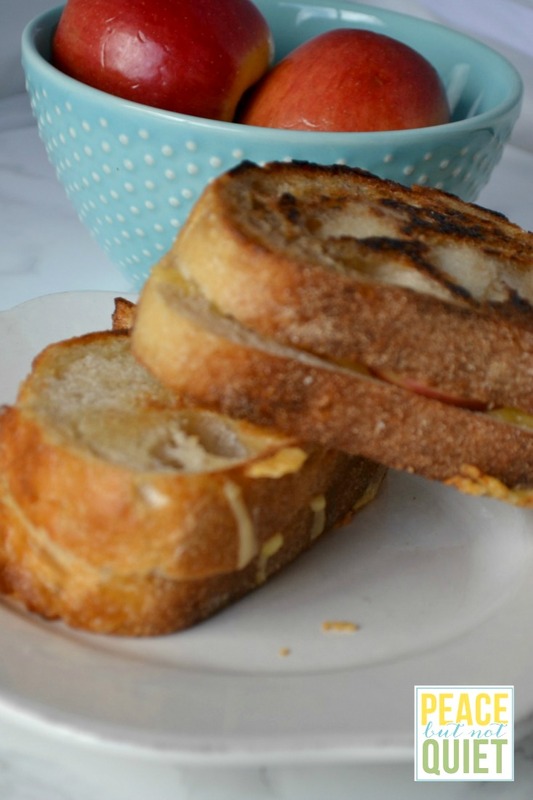 Cook sandwiches on low, flipping when bottom slice of bread is toasted a golden brown. 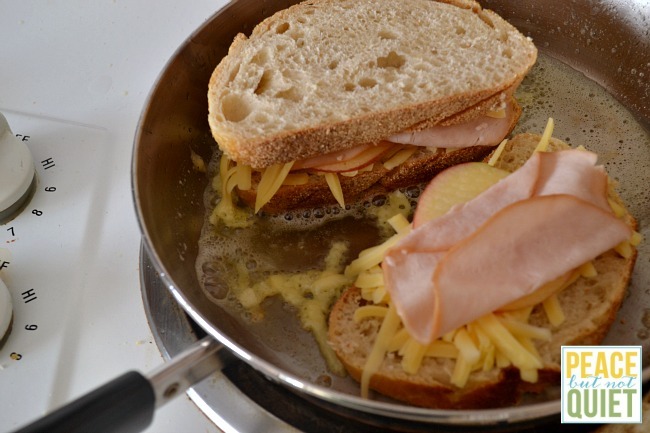 When bread is toasted and cheese is melted, remove from heat and serve.